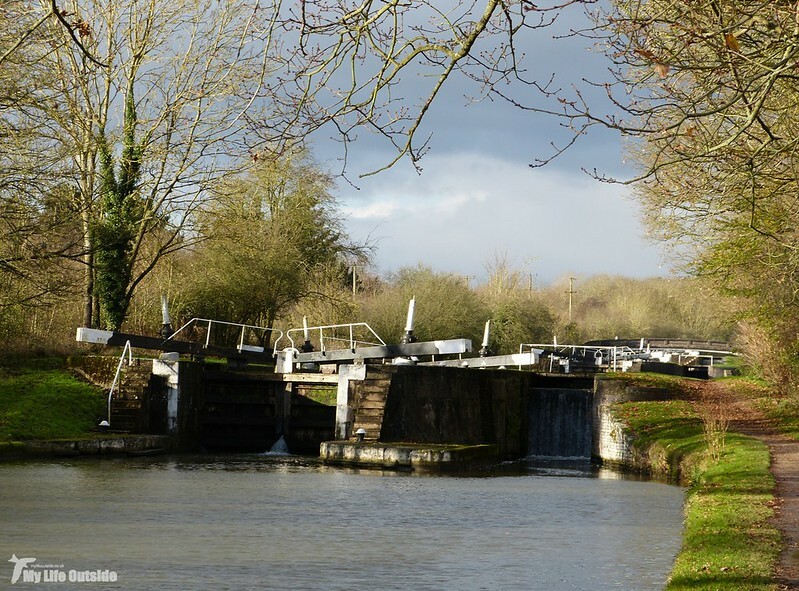 Sunday 7th saw us making a long overdue return visit to Hatton Locks, a flight of twenty one locks (not lochs as I originally spelt the title of this entry and which would have made for something entirely different) on the Grand Union Canal. Opened in 1799 they have a total rise of 45 meters over less than two miles, impressive numbers if you're in the canal business I'm sure you'll agree. 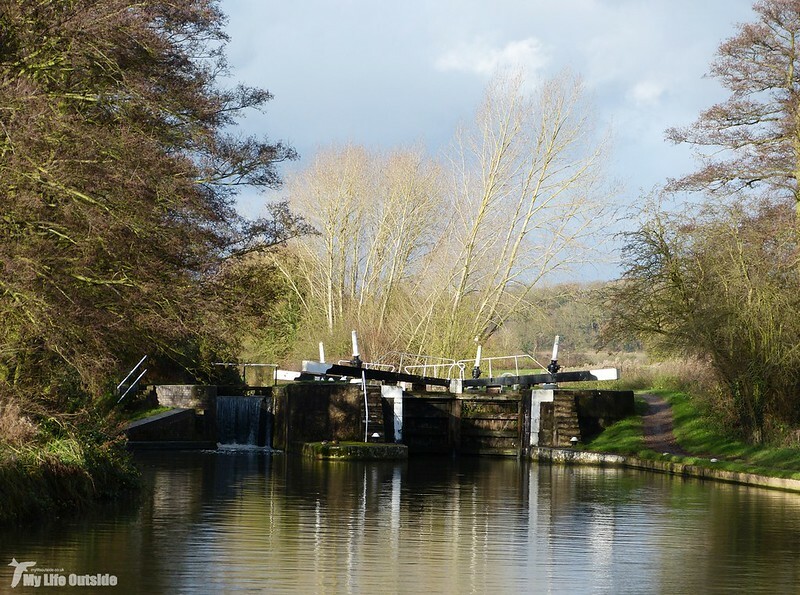 Originally built for the transport of coal, sugar, spices and tea they today provide a very enjoyable walk along well maintained towpaths. Though a couple of modern concrete bridges jar slightly with the older architecture everything else is pretty much as it once was following a widening scheme in the 1930's designed to combat increased competition from rail. One need only look across to the neighbouring mainline however to see how that particular battle turned out. Apart from its historical interest this visit also marked the coming together for the first time in nine years of two great families; or the future in-laws as they would probably prefer to be called. If there was ever any doubt as to who influenced my interests and hobbies then it quickly became apparent as my Dad and I lined up to photograph a couple of Redwings who posed rather obligingly atop a nearby tree. They could of course have moved a little to the left and out of the shadows but beggars can't be choosers considering my previous lack of success with this species. 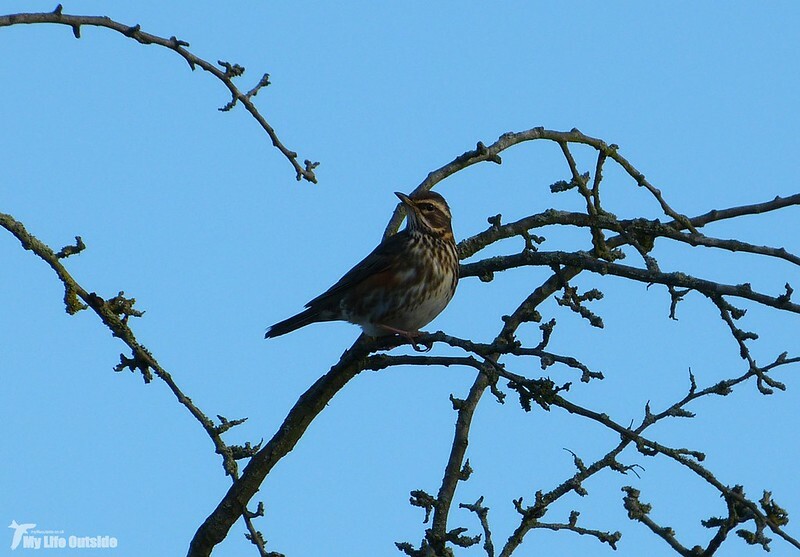 A couple more small flocks of Redwing and several Fieldfare continued our good fortune with winter thrush species this year but with a trip north on the cards in the coming months there can only really be one question on our minds. 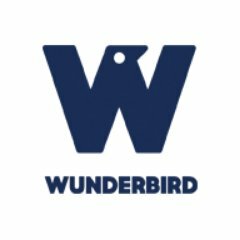 When will the Waxwings start to arrive? 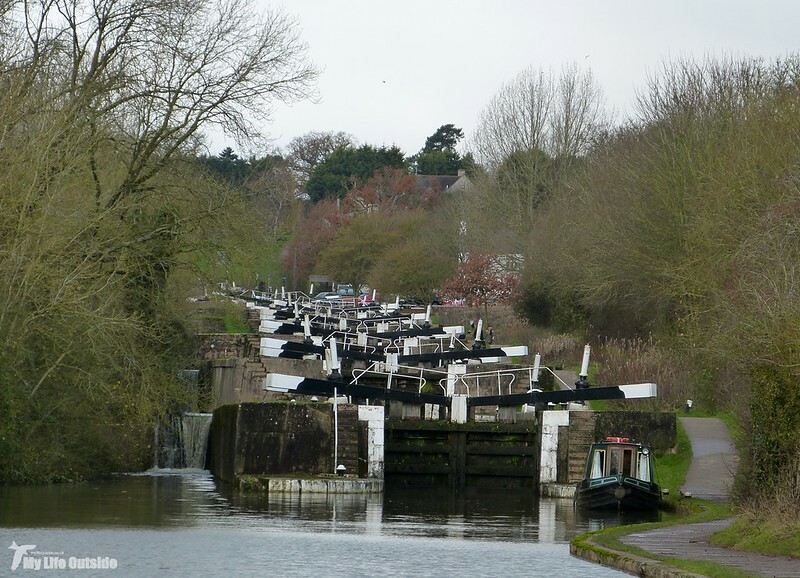 Lovely lock gates, love them very much Adam. Interesting view of the locks.. And the Redwing is a handsome bird. Great shots! The canal system was (and in parts, still is) remarkable - makes me wonder if we could actually build such things today. Probably, but would they real work any better? We probably could but doubt we'd manage to create something so ornate or beautiful.